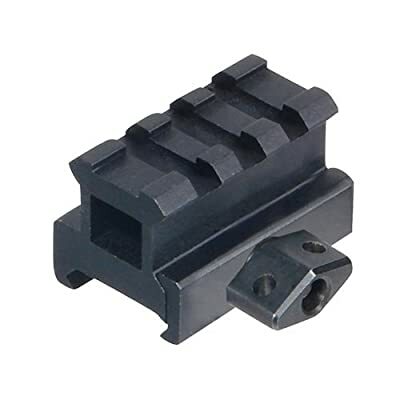 New Gen. riser mount for rifles with Picatinny/Weaver rail 1 Picatinny rail with 3 slots Side plate with spring tension for quick and easy installation Precision machined from aircraft aluminum with matte black anodizing. Department - unisex-adult. Dimensions: 1.6 by 1.75 by 1 inches (L x W x H). Included Components - Riser Mount. Material - Aluminum. Sport Type - Hunting.